Suzuki Canada is bringing its warehouse and employees to Barrie. The company will be moving into a building on Saunders Road in the city’s south end by mid-July. Suzuki has been in Richmond Hill for 27 years. “What we wanted to do a couple of years ago was start to resize our business and in resizing the business that meant resizing our facility. We decided that we needed about 40,000 square feet. This building is 110,000 square feet,” says president Bill Porter. 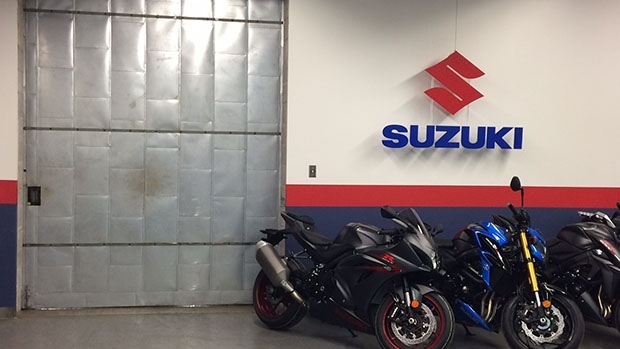 Suzuki Canada makes motorcycle parts and accessories and ships them across the country. There are 65 employees at their current plant. “We looked at Richmond Hill, we looked in Aurora, we looked in Newmarket. We felt that Barrie offered the best opportunity for Suzuki in a way of the talent pool that's there. It's a great talent pool,” says Porter. About 35 per cent of Barrie residents commute out of the city for work every day and Suzuki Canada says some of its staff will not be making the trip north. So there will be job opportunities. Something Barrie’s mayor is thrilled to hear the news. “We are seeing those medium sized companies and by that I’d say sort of 50 to 200 employees. 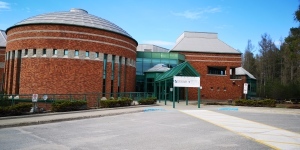 They are making the big difference in Barrie right now,” says Barrie Mayor Jeff Lehman. The move will be a big one for Suzuki. There are about 25,000 items that will be shipped up to the new plant in Barrie. It will take all hands on deck for nine straight days. Suzuki has not put its building up for sale in Richmond Hill just yet, but it has already had six different offers to buy it.